As our Journey students finish the second week of their summer school we take a look back at what they’ve been up to in Paris and Lund. After an introduction into climate change and entrepreneurship the students will start work on forming their own climate change business idea. The first two groups of students have now finished their time in Paris and Lund and will be heading to Valencia and Munich for the next leg of their journey before joining together for the final stage in Wroclaw where they will present their business ideas. The Journey students in Paris spent a day doing practical sessions in FabLab learning about prototpying. 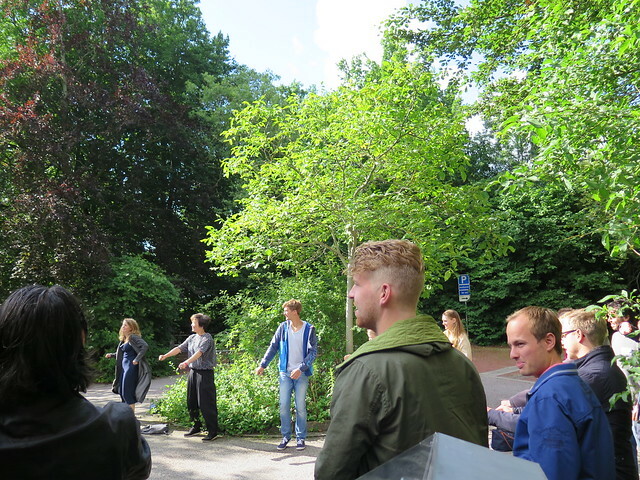 The students in Lund got a guided tour of the Eco-City in Malmö on their Urban Transitions theme day. On the Monday, students in Lund got the opportunity to video conference with Andrea Tilche, Head of the Climate Action and Earth Observation Unit for the European Commission.